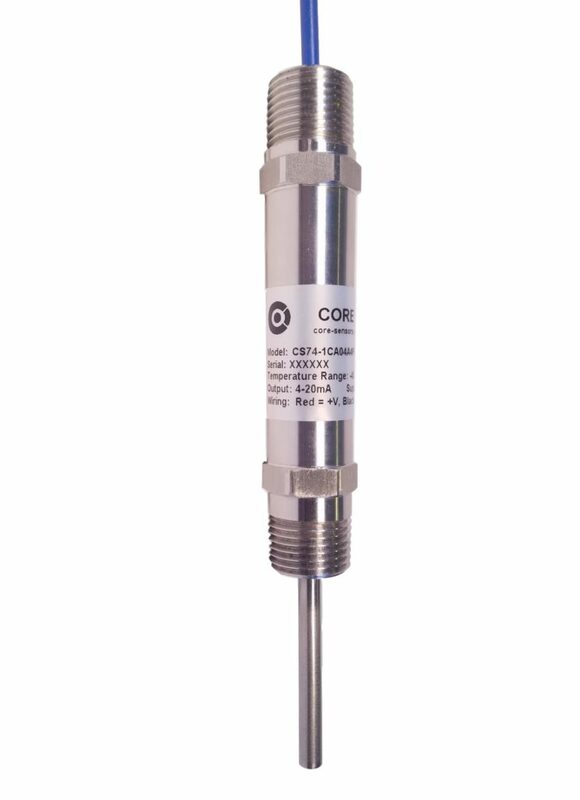 Core Sensors offers the CS74 Intrinsically Safe temperature transmitter, designed for use in hazardous locations with an approved barrier (see page 3 of datasheet for entity parameters). Features include a 316L SS probe and thread area and a stainless steel housing, making it compatible with a wide range of process liquids and gasses for harsh applications. Configurable temperature ranges from -40 to +200°C are available with various probe lengths. 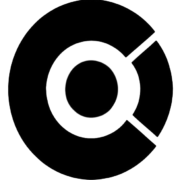 A wide variety of standard electrical connections are available with 4-20mA or various voltage output signals. (0.5-2.5V non-ratiometric)","3",null,"5","VDC, unregulated"],["Insulation Resistance","100",null,null,"M\u2126 (50 VDC case to pins)"],["Ambient Operating Temperature","-40",null,"+85","\u00b0C"],["Storage Temperature","-40",null,"+125","\u00b0C"],["Shock Resistance","100G",null,null,"11 msec \u00bd sine"],["Linear Vibration","10G",null,null,"10 to 1000Hz"],["Ingress Protection","IP65",null,null,"Rating dependent on electrical termination. Ingress Protection IP65 Rating dependent on electrical termination.